At least 25 CRPF personnel who were on duty to guard the under-construction road in the Sukma region were killed in an encounter with the Naxals in Chhattisgarh on April 24. The attack is ebing dubbed as the worst attacks in the state for the last seven years. They also reportedly fled with the AK-47 rifles and others weapons of the jawans. “The troopers replied in a befitting manner but taking geographical position to their advantage, the Maoists succeeded in inflicting loss to the CRPF,” CRPF said. 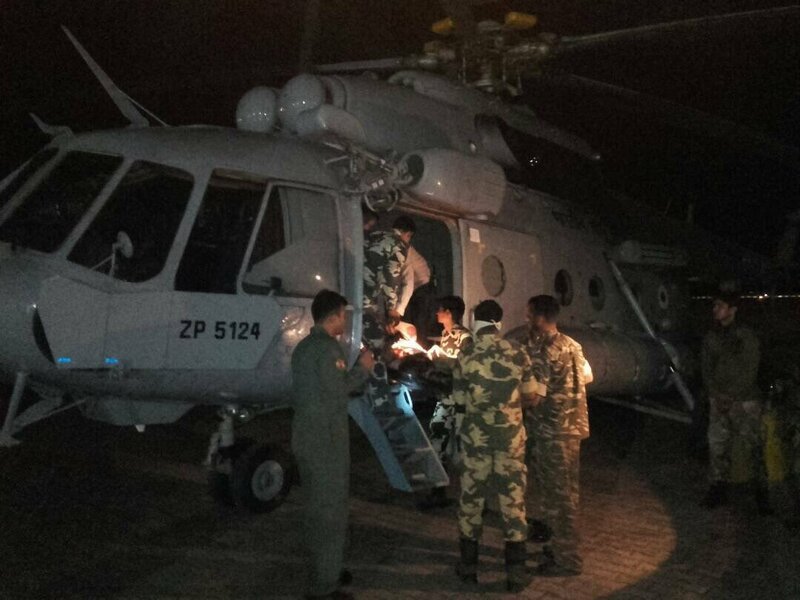 The injured Naxals were air lifted and rushed to the hospital for further treatment. “First Naxals sent villagers to trace our location, then almost 300 Naxals attacked us. We also fired and killed many. I shot 3-4 Naxals in the chest,” CRPF constable Sher Mohammed who was injured in the attack told the media. Chhattisgarh Chief Minister Raman Singh who was in Delhi cancelled all his commitment and flew back to Chhattisgarh to take stock of the situation and held an emergency meeting post the attack.